In order to proffer an outstanding solution against high & low temperatures, wherein a thin layer of the nickel is applied onto the strainer made from ductile iron or cast iron. The layer of the nickel prevents the corrosion while subject to the corrosive media and also from the abrasion and hence deliver the longest life expectancy. 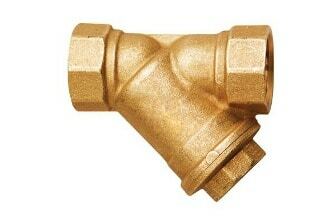 Besides that, the high temperature withstand capacity of this nickel plated Y strainer has gained an immense popularity to filter the impurities from water plants, heating plant, compressed air system and air conditioning plants where temperatures are too high or too low, is suitable to uphold working temperatures ranging from -20°C to 110°C. This nickel plated Y strainer is a cost effective affair, which is manufactured under the strict quality control followed by stringent quality checks against leakage. We as a nickel plated Y strainer manufacturer equip this strainer in the broadest collection of the specifications, which is as per the ASME and API standards that exhibits its quality quotient. No leakage and No corrosion are guaranteed throughout the lifetime, which one can avail with the screwed end, socket weld end, but weld end as per the requirement. Additionally, different perforation sizes are available to ensure thorough filtration of the impurities.